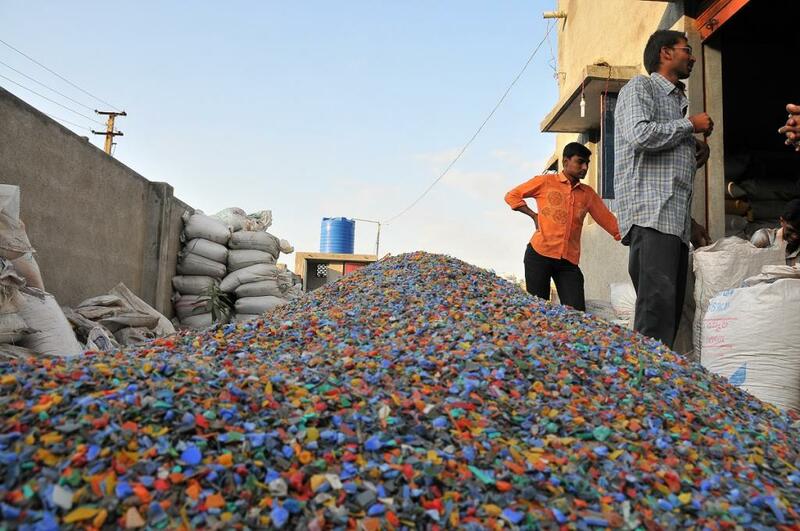 Pune generates more than 1,600 metric tonnes of garbage every day. 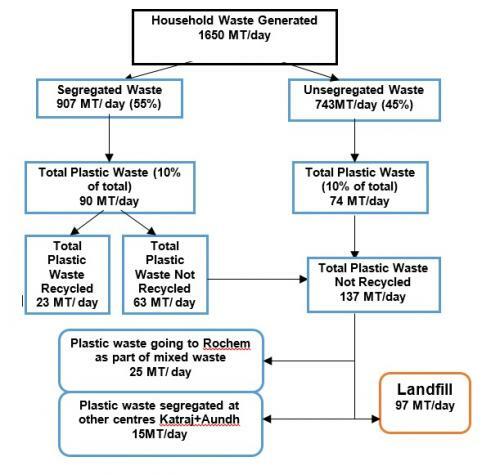 Of it, nearly 250 tonnes are wet garbage and 850 tonnes are dry. The remaining 500 tonnes are mixed garbage. According to civic officials, about 15 per cent of the total garbage generated in the city every day is plastic. 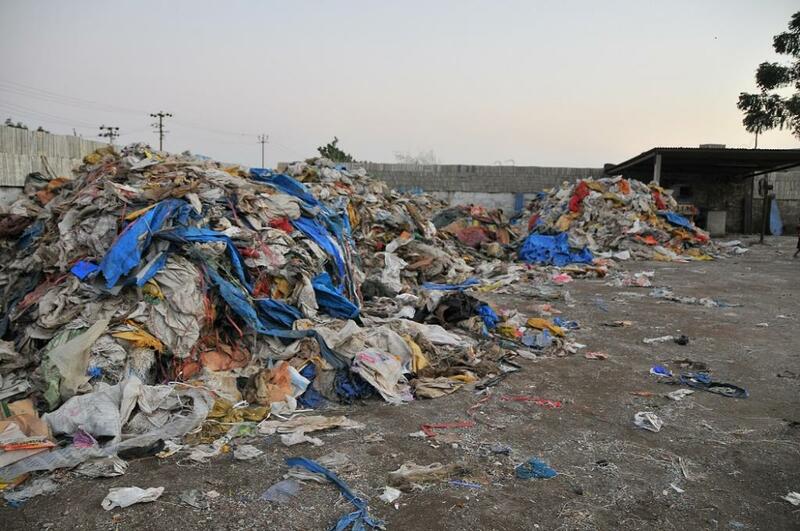 Around 1,200 tonnes of garbage is processed with the current facilities available with the civic body. As of now, SWaCH, a co-operative in Pune, is managing 50 per cent of the solid waste in the city through its network of informal workers. The rest 40 per cent is managed by the Pune Municipal Corporation (PMC) and the remaining 10 per cent by private players. In 2015, the PMC drafted the bye-laws in consultation with consultants, covering every aspect of waste (solid waste, e-waste, biomedical waste and plastic waste). The draft bye-laws were formed before the Solid Waste Management (SWM) Rules, 2016 came out. After slight modifications in the bye-laws as per the SWM and Plastic Waste Management Rules, 2016, the draft bye-laws were circulated for comments. “The bye-laws have been drafted keeping citizen’s feedback in mind. The general body has finalised the bye-laws and will be sent to the state for final approval,” says Suresh Jagtap, Joint Municipal Commissioner, Solid Waste management, PMC. But the bye-laws are facing criticism, especially on its provisions concerning plastic waste management. Plastic Collection Centres: "As per the proposed bye-laws, segregated plastic waste (PW) from waste generators shall be collected and transported by PMC or other authorised agencies to designated community plastic collection centre,” says Jagtap. The PMC shall provide the land and set up the infrastructure for the PW collection and appoint agency or treatment agency to operate it. The PMC has proposed to open 200 such centres in the city where individual households can give their recyclable/non-recyclable waste. Also, PET bottle-crushing machines have already been installed at 20 locations having high pedestrian footfalls. Informal Sector: The PMC also plans to integrate the informal sector to the collection centres. Waste pickers may retrieve and sell valuable plastic segregated from the waste to the recyclers registered under the corporation. Also, they can come and deposit recyclables at these centres and get money for the same (Rs 1/kg of mixed waste). They may also deposit low-value plastics (LVP) at the nearest community collection centre. User fees: The waste generator shall be liable to pay a plastic waste management user fee as stipulated in Section 11 of the bye-laws. There shall be a one-time registration fee for organised retailers (Rs 10,000), unorganised retailers (Rs 3000) and street vendors (Rs 500). Also, organisers of events in public spaces have to pay a plastic waste collection fee of Rs 400 for one kg of plastic waste generated. According to Laxmi Narayan, co-founder of SWaCH, “The bye-laws have not attempted to integrate the existing SWaCH model. In fact, if implemented, it would threaten the existing model.” The SWaCH model, wholly owned by waste pickers, covers 50 per cent of the city, serving over 540,000 households. The co-operative of 2300 waste pickers collects segregated waste from households and collects user fee of Rs 45-50 per household. The model, which has been running independently for the past few years, is also the only one in India, entirely owned by informal sector. Two informal workers cover close to 300-400 households every day. The PMC annually saves Rs 5 crore in waste handling, Rs 1 crore as tipping fee and Rs 33.5 crore in labour costs through the existing model. As per the bye-laws, the companies under EPR shall fund collection and transport of plastic or the entire cost of plastic waste management. “How will this happen, as over 66 per cent of FMCG market in India is tapped by unbranded products?” says Sanjib K Bezbaroa, head of the sustainability division of ITC. “Under the EPR model outlined in the draft bye-laws, formal sector shall pay for the post-consumer waste generated out of consumption of products from informal sector. Who will be responsible for the post–consumer waste from informal sector?” he asks. Moreover, there is no criteria for estimating the quantum of charges from producers. It is not clear how the charges would be segregated between collection and management activities. The bye-laws mention EPR credits but how they shall be implemented is not very clear. Does it mean that these credits shall be awarded to producers upon supporting ULB initiatives for waste management or would these credits be awarded by the central government to producers to support ULBs under different initiatives for plastic waste management. The bye-laws do not clearly define the role and responsibility of the producers. Would their scope remain limited to collecting their produce or they can collect, either individually or collectively, different forms of plastic and be responsible for its processing? “Under the existing setup, waste picker is free to sell the recyclables to a junk-dealer. But if the bye-laws come into effect, the waste picker shall become an employee of the PMC and end up making less money, as the collection centres shall take up mixed recyclable waste at Rs1/kg, which is far less than what a waste picker earns by giving segregated PET bottles or cardboard to a junk dealer,” says Narayan. In March 2016, the Plastic Waste Management Rules were notified by the Environment Ministry. The EPR provisions have been heavily criticised by many. “So far, no guidelines have been circulated by the government for implementation of EPR,” says Harshad Barde, independent activist and lawyer. “The Rules mention establishment of system for collecting back the plastic waste generated due to their products. Does this mean that if a producer’s product packaging generates 100 tonnes of waste, then the producer shall be required to collect only 100 tonnes of waste under its action plan? The producers must collect not only their product-generated waste, but all the plastic waste in his territory as it would be impractical and commercially impossible to segregate such waste,” adds Bezbaroa. A few amendments need to be brought to the Plastic Waste Management Rules, 2016 so that the EPR can be implemented. “Firstly, the term ’producers’ should be made broad to include a wide range of producers—formal as well as informal,” says Barde. Secondly, the waste collection plan should not limit any producer to collect only the waste that has been generated by its products, but also by other brands or companies. “It is not feasible for any producer to collect only that waste that he produces and it should include total plastics,” adds Barde. Also, there should be equal importance given to collection, advocacy, awareness and clean-up drives with regards to EPR credits and it should not be limited just to collection. The scope of the Rules should be expanded so that the EPR credits can be used for behaviour change as well. Informal sector is critical to all this and should play a major role. “PPP models need to be encouraged for efficient collection, but not by taking informal workers as mere scavengers, and not at the cost of demolishing existing successful models,” adds Narayan. “We need to integrate the formal-informal sector for effective plastic waste management in the country. Models like the one PMC has developed will not only kill the existing setup but will have an adverse effect on the informal sector. Moreover, the tools like EPR need to be framed keeping in mind the informal sector,” adds Shashi Bhushan Pandit of All India Kabadi Majdoor Mahasangh (AIKMM).